Family Hannah Ayres, b. 2 Aug 1662, Mass. 1. John Osgood, b. 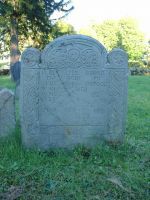 28 Jun 1683, Andover, Essex Co., Mass.